1. One of my high school mentors recently wrote on his blog about the "The 10 Experiment: A Week of Choosing the Simple Life". In short, for five days he and his family took steps to reduce extras and live a bit more simply...only 10 foods that they ate, 10 articles of clothing they wore, 10 items they must give away, etc. He has a whole list as well as how the four of them fared over the five days. It's obviously not impossible by any means, but an easy way to step back from life's craziness and try to approach it with a different mindset. I'm thinking about trying something similar myself one of these days! 2. 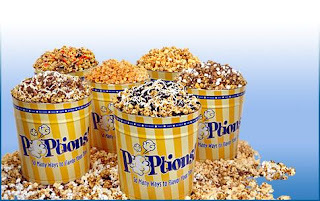 We got quite a haul in our swag bags at the Food Media Forum, but one of my favorite goodies was the bag of Poptions popcorn. I love popcorn and love making it at home (bacon bourbon caramel corn or spicy kettle corn, anyone!?). The Mojito Lime flavor came in my bag and I may or may not have eaten the entire thing for dinner one night. I'm dying to try some of their other flavors (salt and vinegar, monkey nuts, sugar and spice, and so many more!). 3. When Red Gold sent me some cans of tomatoes a few weeks ago (which I used to make these divine turkey burgers), they also included a bottle of their Mama Selita's Jalapeño Ketchup. I am loving it!! We've been eating it on burgers, with fries (both homemade and my favorite Alexia fries), and I'm dying to mix it into some mac and cheese (am I the only one who loves ketchup in their mac and cheese?!). 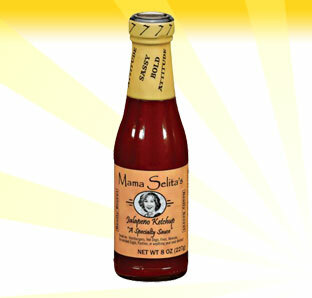 If you love ketchup and love the idea of spicy ketchup, you need to find a bottle of this! 4. It would be a huge mistake for you to NOT make these caramel apple nut bars sometime this fall! Don't say I didn't warn you!